Mademoiselle YeYe 'Tabea' 60s Mod nautical stripe top in black and white. 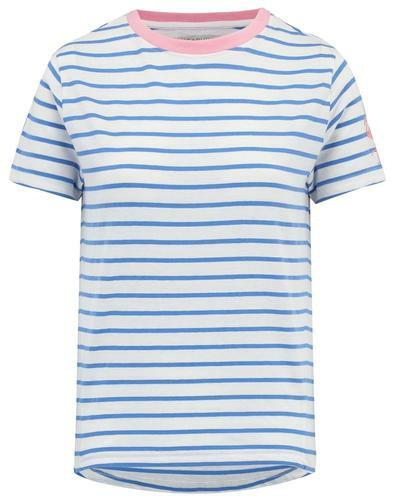 Inspired by the classic Retro Breton stripe pattern and blended with a certain Beatnik 60s flair, the Mademoiselle YeYe 'Tabea' T-shirt not offers only offers a glamorous heritage look, but also comfort too. 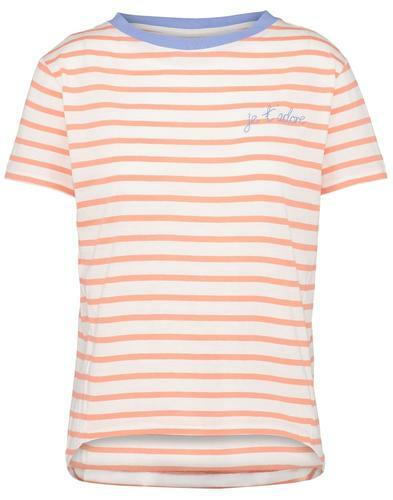 The cute Retro cap sleeves and demure self fabric crew neck collar make the Tee ideal for the warmer seasons. 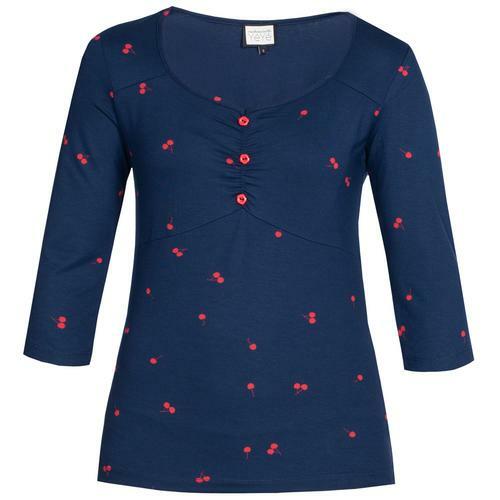 Ideal for layering under a lightweight cardigan and teaming with denim jeans or skirts for leisurely walks along the beach. 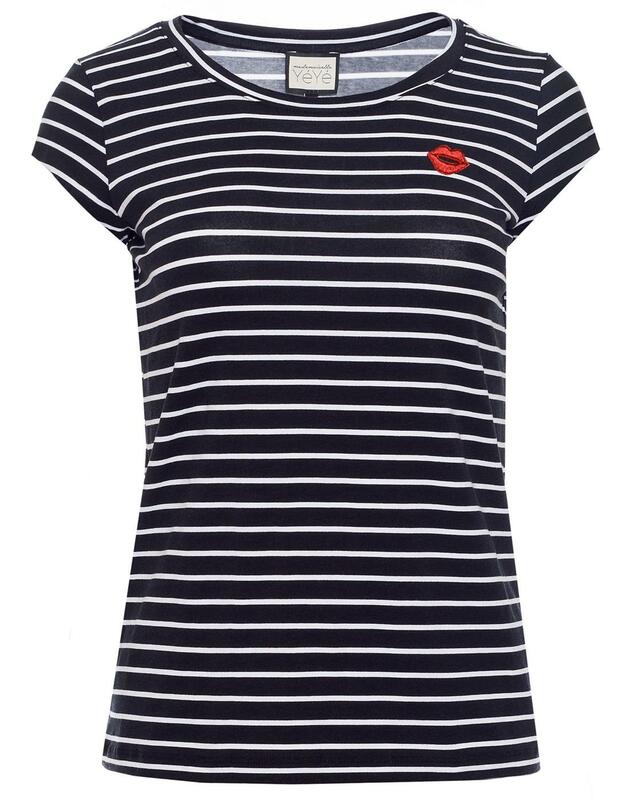 The Mademoiselle YeYe 'Tabea' nautical stripe top is finished with YeYe's striking red lips embroidered motif. - Mademoiselle YeYe 'Tabea' 60s mod nautical stripe top. - Self fabric stripe crew neck collar. 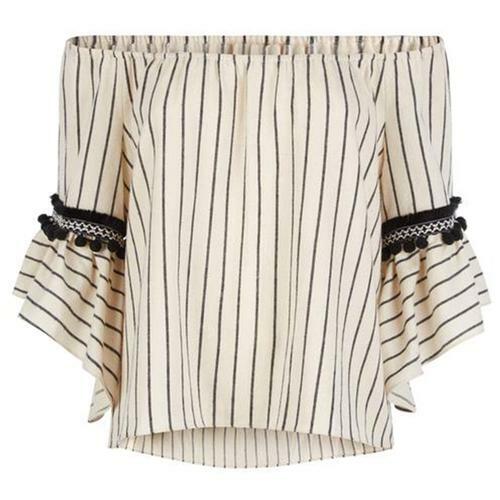 - SKU: SS18-022A Tabea Stripe Top.